The Boswellia serrata tree has been known for over 3.000 years for the use of incense. There are several Boswellia trees: for example, the Boswellia carterii and Boswellia sacra are Arabian variants. Synofit uses Boswellia from the Boswellia serrata tree, which grows mainly in Northern India in the arid mountain areas. On this page we explain what it is and why we use it in one of our products. From a tree of about three years old, parts of the paper-like bark are removed. A milky juice then flows, which crystallizes into golden brown grains (resin) and then can be removed from the tree with a knife. This is the pure, clear incense. Until the 20th century pure incense was as valuable as gold. Therefore, also crystallized Boswellia granules that fell on the ground were used. This made a less pure incense, but was also valuable. The extracted granules are still sorted by hand by purity before they find their way to the market – and Synofit. Boswellia acids are added to Synofit Premium Liquid. This is an extract from the incense that is known to contribute to the support of flexible joints. For the loading phase, for which the liquid formula is recommended, Boswellia is an extra ingredient for a quicker result. 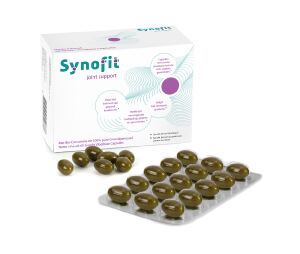 In Synofit Premium Capsules no Boswellia is added, partly because there was no room for it in the capsule! Some people are hypersensitive to Boswellia, because this acidic extract can occasionally cause stomach problems. So, if this should occur, it may be better to consider the Synofit Premium Capsules, without Boswellia. Despite these possible side effects, we have deliberately chosen to add Boswellia to Synofit Premium Liquid, because the use of Boswellia often leads to rapid satisfaction with regard to the joints. Where Synofit Premium Capsules take 4-5 weeks on average, we hear from Synofit Premium Liquid that people are satisfied within a few days. And of course, we are satisfied with these results. 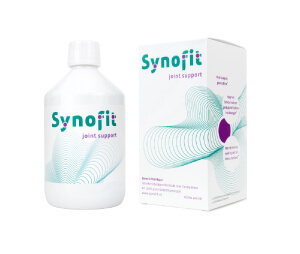 Incidentally, the long-term satisfaction between these products is the same: after 80 days of build-up treatment, 70% of the users of Synofit Premium (whether liquid form or capsules) are satisfied.